Four slovenian officials have been suspended for alleged 'irregularities' during violinist Vanessa Mae's Olympic qualifying ski race, the National Skiiing Association said. Slovenian Ski Association head Jurij Zurej told news agency Reuters: "We discovered there were a number of irregularities in the competition in which Vanessa Mae qualified." He said there was 'no indication whatsoever' that Mae or any other skier was involved and that the matter was now in the hands of local police. Mae competed for Thailand at the Games in Russia in February under her father's surname of Vanakorn, finishing a distant last of the 67 finishers in the giant slalom. The 35-year-old had qualified for the Olympics at the very last moment after competing in four giant slaloms in Slovenia at the end of January gave her the ranking points needed to be eligible. An avalanche swept down a slope at the Sochi ski resort where the 2014 Winter Olympics alpine events were held, killing two people. Rescuers found the bodies of two women beneath the snow on a slope called Labyrinth at Rosa Khutor in the mountain resort which has only been open to the public for a day. "Despite all efforts to revive them, they could not be saved," the resort said on its website. Four others on the slope at the time were unhurt and experts are now trying to determine the cause of the avalanche. Rosa Khutor, which is 25 miles from Sochi, hosted the alpine skiing, snowboarding and other events at the Games. Lincoln's record-breaking skierJade Etherington, battled through the pain barrier to carry the flag at the closing ceremony of the Winter Paralympics in Sochi - but admitted her future in the sport was uncertain. The proud 23-year-old refused to let illness deny her the chance to lead the team into the Fisht Stadium on Sunday night after it forced her out of her final race. "I am so honoured. I felt better in the evening for the ceremony, but I was taking pain killers. I was in a wheelchair for most of the day, but I knew I needed to stand to lift the flag." 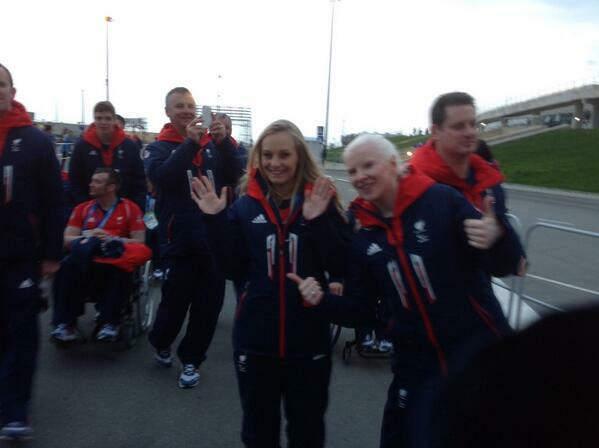 The Team GB athletes have tweeted pictures as they prepare for the Sochi 2014 Paralympic Games closing ceremony. Jade: carrying GB flag is "tremendous privilege"
I feel tremendously privileged to be selected to carry our flag in front of an international crowd and specifically the GB audience back home. We've raised the flag four times this week already so this time it will be nice to carry it. Being visually impaired, I'll be able to see this one. 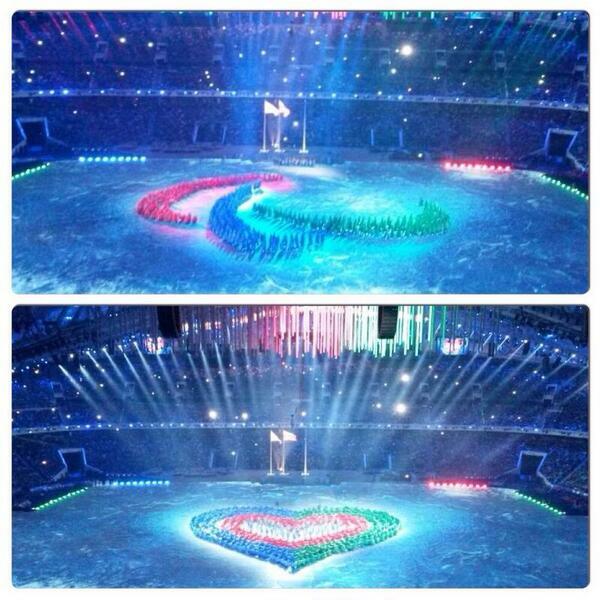 As we missed the opening ceremony, we are really excited to both be getting to go to the closing ceremony. And for a change I'll be the one guiding Caroline around, as well as the whole team. 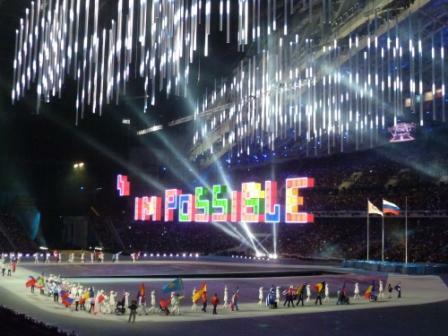 A senior management team of ParalympicsGB staff, headed by chef de missionPenny Briscoe, chose Etherington as flag bearer. Jade (supported by Caroline) has delivered consistent medal-winning performances in each of the races she has competed in, making her Britain's most celebrated Winter Paralympian. 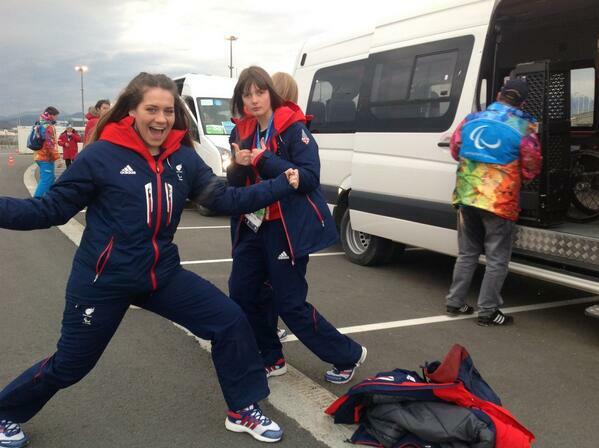 Lincoln's Jade Etherington has had to pull out of her final event of the Winter Paralympics in Sochi through illness. There were great hopes that visually-impaired Jade and her guide Caroline Powell would have gone on the win a record-breaking fifth medal - and potentially their first gold -in the giant slalom. But Jade was ill last night and still felt unwell this morning. 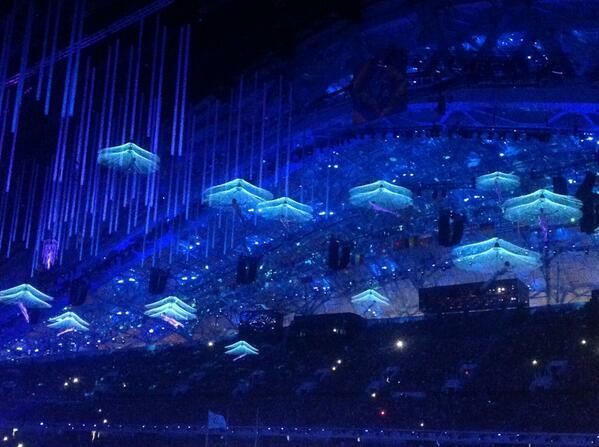 However, she has been named as Great Britain's flag bearer for tonight's closing ceremony - illness permitting. A decision on her involvement in the ceremony at the Fisht Stadium will be made later. Great Britain's four-time Winter Paralympic medallist Jade Etherington has withdrawn from her final event of the Games, the giant slalom, through illness. The British Paralympic Association announced that the visually-impaired skier and her guide Caroline Powell would not bid for a fifth medal on Sunday. Etherington has been unwell over the past 12 hours and has been under the close supervision of the ParalympicsGB chief medical officer, Dr Stuart Miller. She still felt unwell on Sunday morning, with the decision not to compete made jointly by herself, Powell and Dr Miller.